Amanda has been playing piano and taking private lessons since age 5. She studied music theory throughout high school and college and has played many genres such as musical theatre, classical, baroque, and contemporary. She began taking vocal lessons in early high school and participated in musical theatre for 6 years. She has continued playing and singing all throughout her college career as an accompanist for the MU Women&apos;s Chorale and for individual vocalists, a Soprano in MU University Singers and Concert Chorale, as well as other singing opportunities, such as the Odyssey Series Bach choir and community ensembles. She began teaching private piano lessons in 2011. She taught students in the community, as well as worked through the Judson Community Music School outside of Chicago, IL for 2 years. She began her degree in 2013 in Music Education & Entrepreneurship at Judson University in Elgin, Illinois. She transferred and is now finishing her degree at Mizzou in Vocal Music Education with a concentration in piano and has plans to student teach in January of 2019. 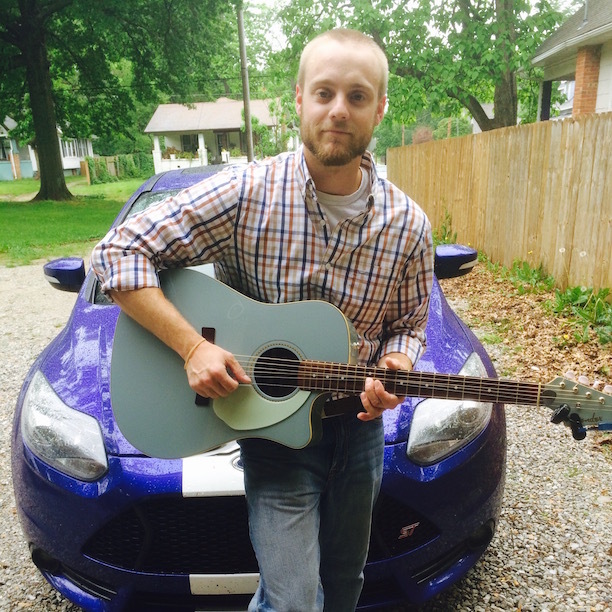 Kevin Jerez is a very active musician in the Columbia, MO area. He has been a performer and teacher for nearly 10 years, and is looking to bring his experience to A Major. 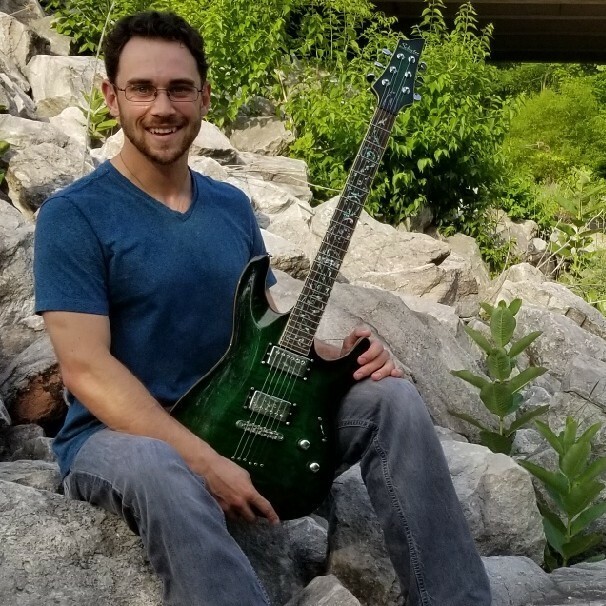 Kevin&apos;s focus is on improving vocal range and vocal health, beginner to intermediate piano skills, and an overall application of music theory, as well as songwriting. He will be incorporating basic part writing, interval and ear training, and even some recording skills. He also loves to geek out over retro synthesizers and finding jazz techniques in pop music. Kelsey Jackson is a professional piano and vocal instructor, as well as a professional jazz and gospel pianist for the band Jazz Toaster Trio. He and his band currently has five self-produced albums. Kelsey has been playing piano since he was around 6 years old. He is currently the lead keyboardist for "The City," a contemporary praise band that performs for the Missouri United Methodist Church on a weekly basis. Kelsey teaches and has a great appreciation for all genres music and skill levels, but specializes in accompanying intermediate-level singers who already read classical music but want to branch out into learning how to sing Jazz. He is interested in a variety of hobbies and activities such as fitness and wellness activities, volunteer work for the food bank, church activities, and taking care of his pets. Ashley grew up on a cattle farm in a small town called Lucan found in the southwest corner of Minnesota. 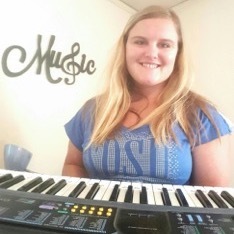 Ashley loves music, she has been taking piano and organ lessons since she was 7 years old and continued taking lessons until her sophomore year in college at South Dakota State University in Brookings, SD. During this time of lessons, she participated in solo performances, studio forums, and dozens of piano and organ competitions where she usually ended with a perfect or near-perfect score! Ashley&apos;s main focus at college was to finish her Bachelor&apos;s Degree in Animal Science. But she also pursued minors in Animal Health, Biology, Chemistry, and Music. In addition to taking piano lessons at college, Ashley was also involved in the Women&apos;s Chorus for three of the four years at SDSU. Ashley graduated from SDSU May, 2017. And she recently moved to Columbia to attend the University of Missouri College of Veterinary Medicine to pursue her Doctor of Veterinary Medicine Degree. Music will always be an important part in her life. Even while in college she has done everything from accompanying soloists (vocal and instrumental) and choirs, to playing piano/organ at various churches, to playing piano/organ in weddings! Ashley is excited to teach students through A Major Music. Music seems to be a dying art, and she wants to keep the love music alive. She cannot wait to share her talents with the students and help them develop their own talent and passion for music.